To celebrate National Library Week, Lamar Advertising featured public service announcements on digital billboards in 25 markets. 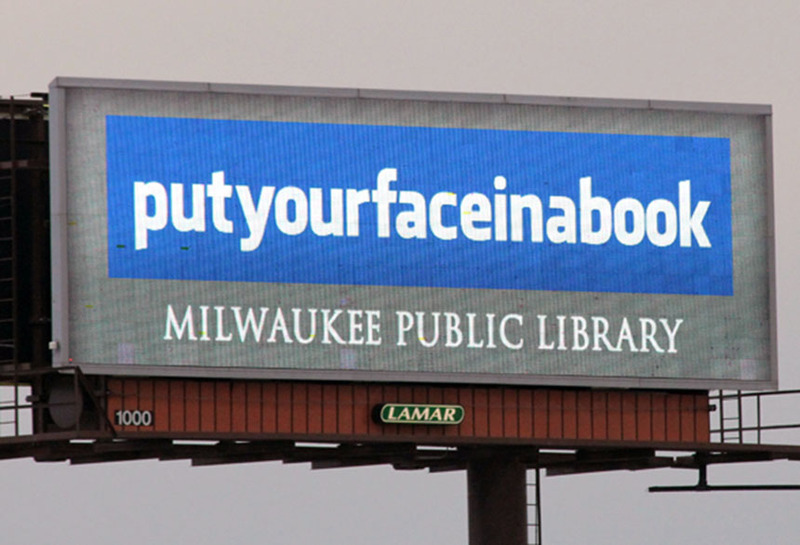 The concept was designed by Dave Olson of Lamar in Milwaukee for the Milwaukee Public Library. The design borrowed the familiar logos of Facebook, Twitter and YouTube to promote books.